Smoke House Deli has taken classic, meaty dishes and added their own twist as part of The Big Meat Up menu. 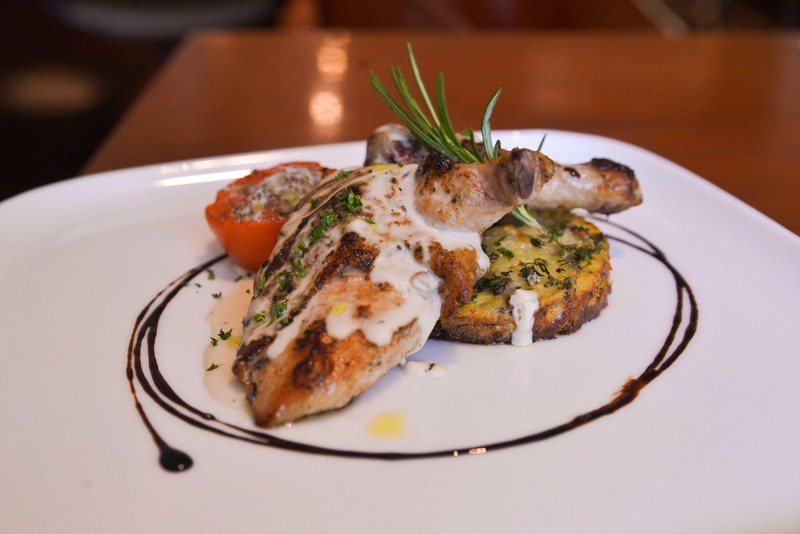 Take your pick from Roasted Chicken and Classic Sauce Supreme served with potato cakes or Fresh Pork Chops with homemade hash browns. There's also pan grilled quail served with spaghetti chicken Bolognaise and pan seared duck breast with chilli soy noodles. Steak lovers, there's also a grilled rib-eye steak to be had as part of the menu and for those who can't do without their lamb, there are dainty cutlets served with mint pesto. It is a meat fest so obviously, all dishes are going to be heavy duty. Might make sense to book a table in advance, because SMD is always busy. The menu is part of both Smoke House Delis on Lavelle Road and Indiranagar.